Vivid and exquisite in its illumination of a time and place that was filled with great monstrosities, but also great humanity and strength, Kristin Hannah's novel will provoke thought and discussion that will have readers talking long after they turn the last page. If I have learned anything in this long life of mine, it is this: In love we find out who we want to be; in war we find out who we are. Today's young people want to know everything about everyone. They think talking about a problem will solve it. I come from a quieter generation. We understand the value of forgetting, the lure of reinvention. It makes it sound as if I misplaced my loved ones; perhaps I left them where they don't belong and then turned away, too confused to retrace my steps. The Nightingale opens with an intriguing statement that lays out one of the major themes of the book: "If I have learned anything in this long life of mine, it is this: In love we find out who we want to be; in war we find out who we are." What do you think the narrator means by this? Is love the ideal and war the reality? How does war change the way these characters love? How does love influence their actions in the war? On a personal level, has love affected your life choices? Have those choices affected who and how you love? Kristin Hannah has reached a new level with this strong and enduring cast of characters and themes. I would challenge anyone to read The Nightingale and not feel deeply moved by its message. I felt proud of these women, struggling to survive in times of war and wondered "what would I do" to save my family, my freedoms and all that I hold dear? Beyond that question looms another: "Do I have that deep core of bravery so desperately needed in the darkest of hours?" Relevant today and always this story will stay with me a long time. It has my strongest recommendation. (Reviewed by BookBrowse First Impression Reviewers). I read The Nightingale in one sitting, completely transported to wartime France, completely forgetting where I was. A historical novel—built on Kristin Hannah's proven skill with story, complex and enduring family ties, and passion—one that will captivate readers. Readers who enjoy stories with ethical dilemmas and character-driven narratives will enjoy this novel full of emotion and heart. Hannah's proven storytelling skills are ideally suited to depicting such cataclysmic events, but her tendency to sentimentalize undermines the gravitas of this tale. Still, a respectful and absorbing page-turner. I loved Kristin Hannah's The Nightingale. 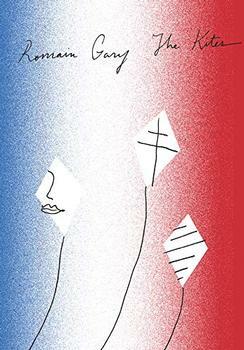 She has captured a particular slice of French life during World War II with wonderful details and drama. But what I loved most about the novel was the relationship between the two sisters and Hannah's exploration of what we do in moments of great challenge. Do we rise to the occasion or fail? Are we heroes or cowards? Are we loyal to the people we love most or do we betray them? Hannah explores these questions with probing finesse and great heart. 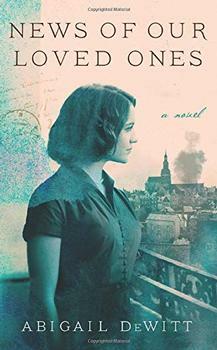 A beautifully written and richly evocative examination of life, love, and the ravages of war, and the different ways people react to unthinkable situations—not to mention the terrible and mounting toll of keeping secrets. This powerhouse of a story is equally packed with action and emotion, and is sure to be another major hit. In this epic novel, set in France in World War II, two sisters who live in a small village find themselves estranged when they disagree about the imminent threat of occupation. Separated by principles and temperament, each must find her own way forward as she faces moral questions and life-or-death choices. Haunting, action-packed, and compelling. I debated reading this book as I feared it would be sad and while it had sadness, the hope and strength of the sisters prevailed and it was an excellent read. In the early morning hours of July 16, 1942, the French police took Jews living in Paris into custody. In the two days that followed, over 13,000 Jews were arrested – 4000 of those were children – in what became the biggest arrest in France during World War II. Seven thousand of these people were taken to the Vélodrome d'Hiver, a bicycle velodrome and sports stadium, to await deportation to Nazi death camps.